Driving directions : From Dong Seoul Bus Terminal, take an intercity bus bound for Onjeong Bus Terminal. Walk left from the exit of the bus terminal for about 580m to reach the Hot Spring Special Tourist Zone. At the Baegam Hot Springs Special Tourist Zone, visitors can enjoy both the lush mountain terrain of the Baekdudaegan Mountain Range and the magnificent scenery of the East Sea. The hot springs of Baegam are one of the most popular tourist attractions in the region and are visited by travelers from across the nation. The water temperature reaches as high as 53 degrees Celsius and contains various minerals and elements, including a strong alkaline content. This makes the water effective in treating neuralgia, arthritis and apoplexy. Recently, it was reported that the water is also beneficial for those with atopic dermatitis, thereby attracting the elderly and families. Recreational facilities for children are also available. The hot springs are located at the foot of the 1,004-meter-high Baegamsan Mountain. 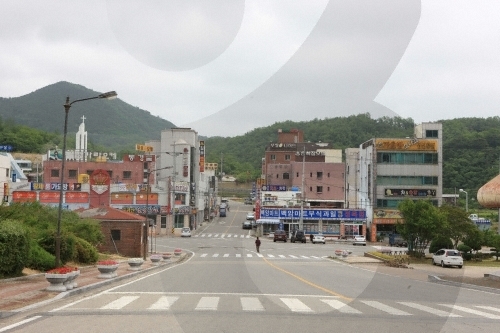 The mountain trails lead to Yeongyang and Bonghwa and are frequented by hikers. Densely covered with pine trees, the mountain also has plenty of deep valleys. Sinseon Valley, where, according to legend a dragon once lived, has an abundance of water flowing in different directions. In the vicinity are Jukbyeon Port and Hupo Port, which are known for snow crabs, and Mangyangjeong Pavilion and Wolsongjeong Pavilion where one can enjoy a beautiful view of the sea. 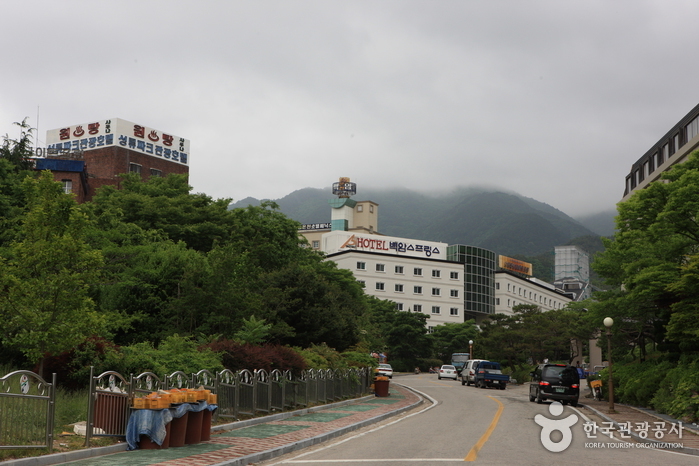 Tourist attractions: Hot Spring Town, Baegamsan Mountain, Sinseon Valley, etc. Parking facilities : 1~2 public parking lots are available, apart from those at the hotels and condominiums. 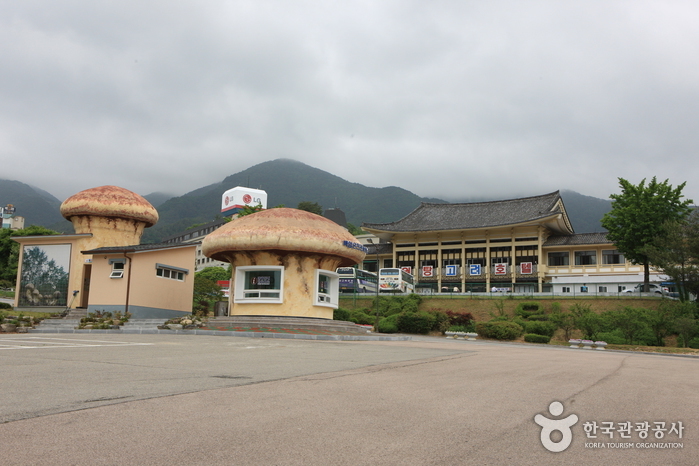 Tourist information center, Oncheonjang hot springs, traditional Korean-style hotel, family hotel and resort condominiums, resort for farming and fishing tourism, theater for tourist, souvenir shop, etc. 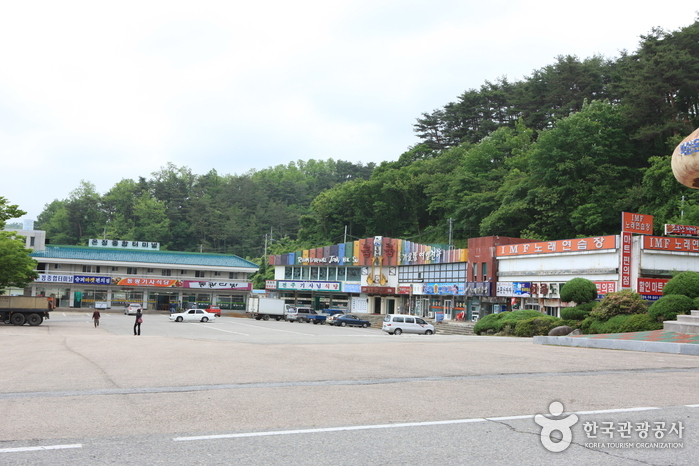 2-3 public restrooms are available around Oncheonjang hot springs, apart from those in hotels and condominiums. 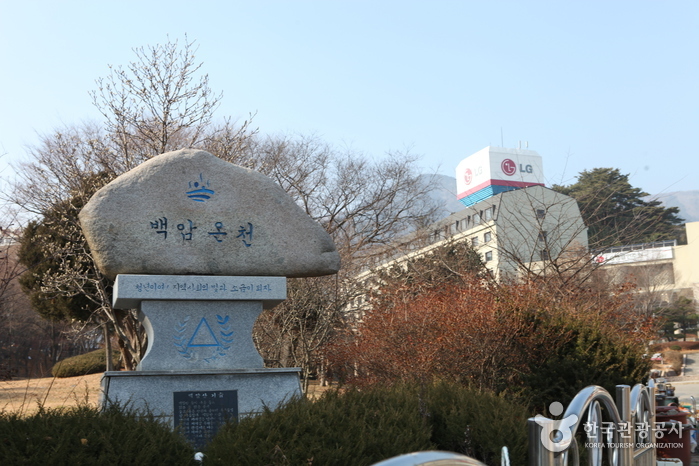 Uljin-gun County offers travel information in English, Chinese and Japanese on its website. Multilingual travel guidebooks are available at tourist information centers.